When Pokemon Go was released, the media was quick to laud the augmented reality mobile game as the future of gaming. But now, just over a month and a half removed from the game’s launch, the global phenomenon has started to dwindle in a big way. The augmented reality game has apparently lost more than 15 million daily users since this time last month, according to Bloomberg published graphs from Axiom Capital Management. 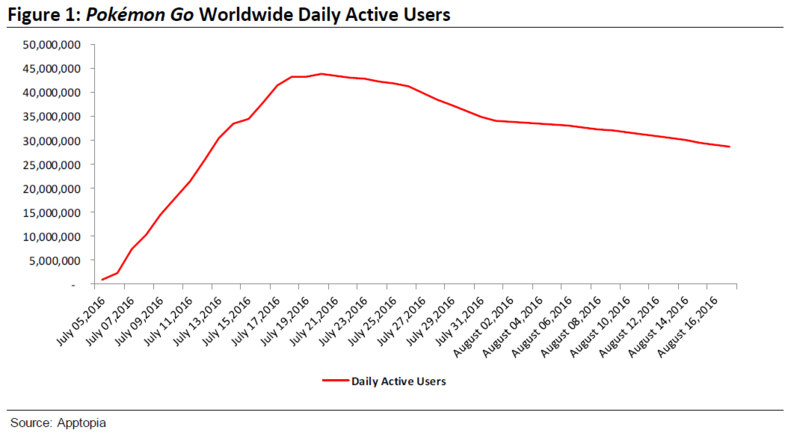 It’s worth noting that the data in the chart only goes to August 18th, so the number of daily active users is likely even lower now. Not only are fewer people playing Pokemon Go on a daily basis, the app’s engagement is currently in a free fall. 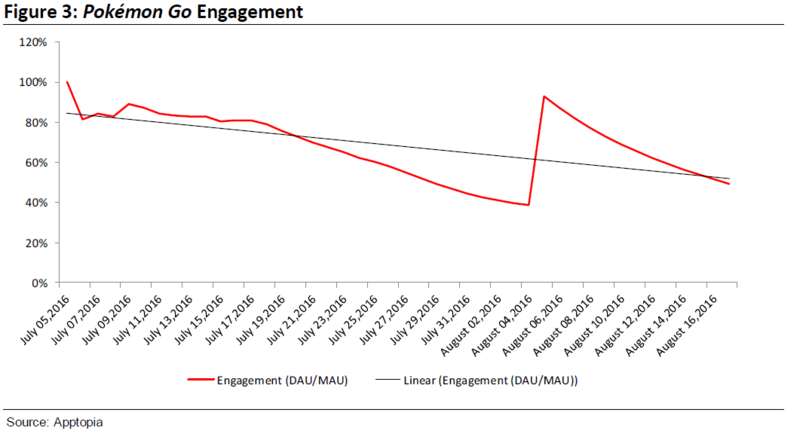 The chart below shows that Pokemon Go engagement has decreased by more than 50 percent. There’s no question that Pokemon Go took the world by storm. The app broke records, generated a huge number of crazy stories, and spawned all kinds of controversy. However, that type of relevancy is impossible to sustain. So while it may soon fall off the zeitgeist’s radar, we will probably never forget sweating in the summer ’16 heat trying to catch ’em all.